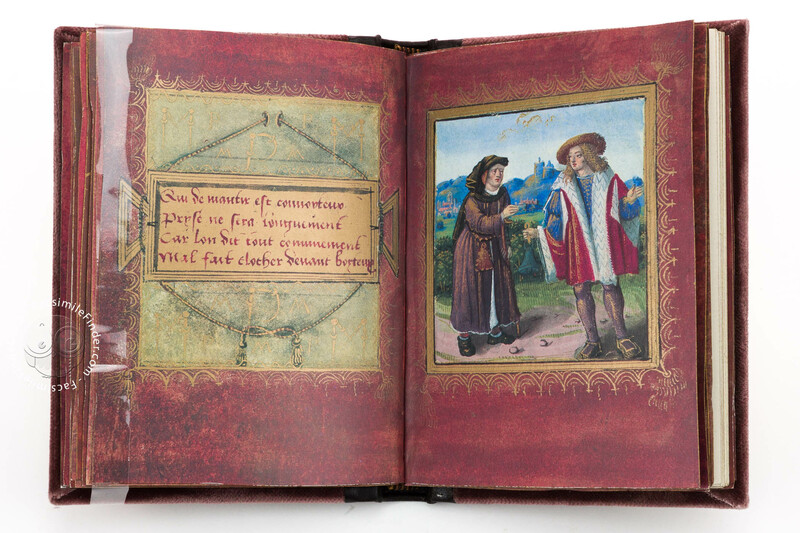 One of the most intimate Renaissance manuscripts of the world is today part of the collections of the British Library: a little book that the French poet Pierre Sala from Lyon once presented to his future wife Marguerite Bullioud. 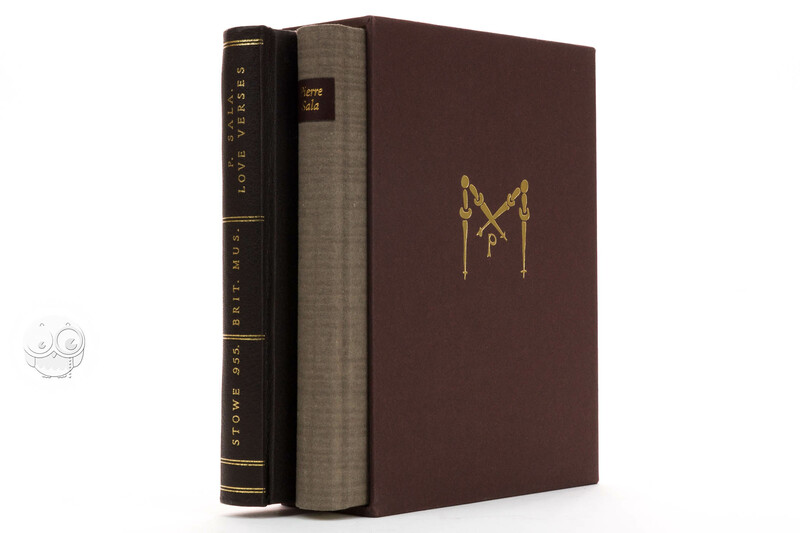 In an exquisite selection of miniatures accompanied by verse, this little volume contains a message of love. 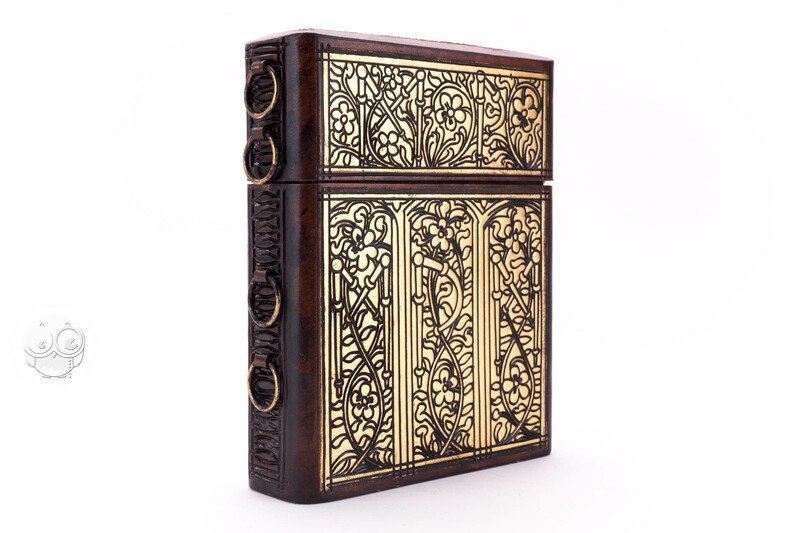 It is one of those gems that men of the 15th and 16th centuries used to dedicate to the woman of their heart and of which only a few have been preserved. 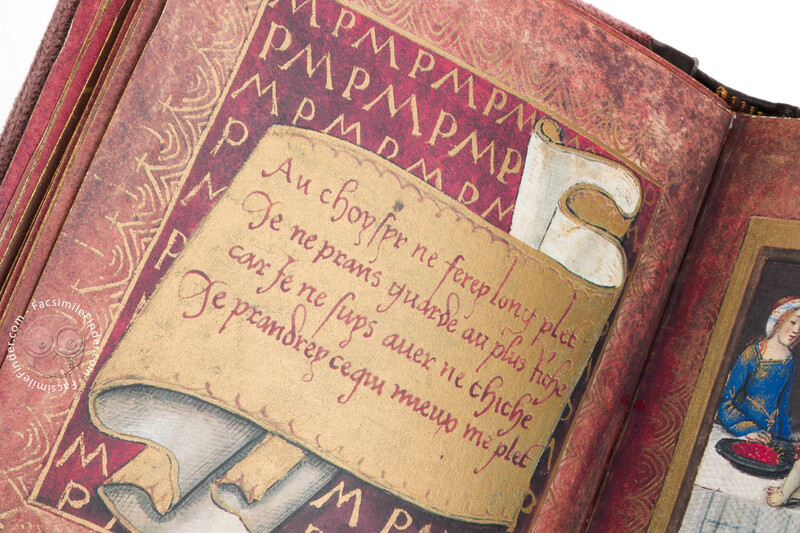 This little book will fascinate the curious reader because of its text, which partly in verse, partly in prose, is steeped in magic and secrecy. The pictures betray Sala’s love for his beloved Marguerite. The presenter of this little volume is far from unknown in the world of literature. 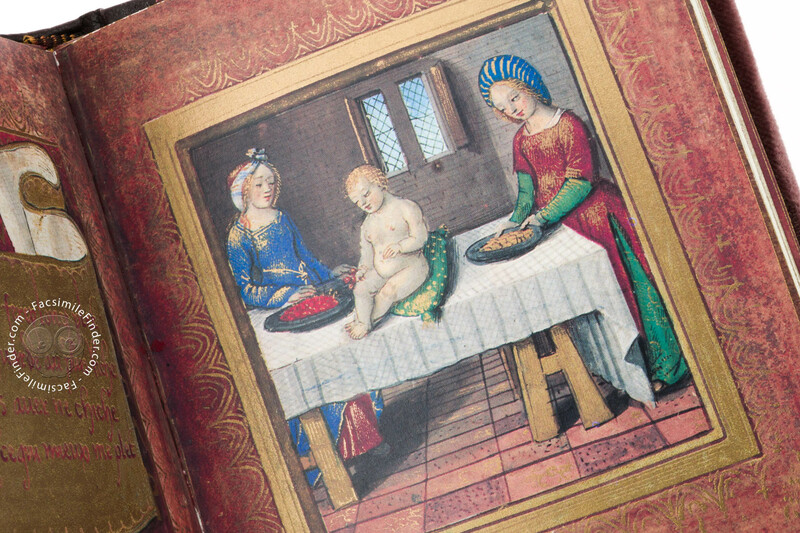 Pierre Sala was born in 1457 in Lyon, son of an old wealthy family of the Lyon bourgeoisie. 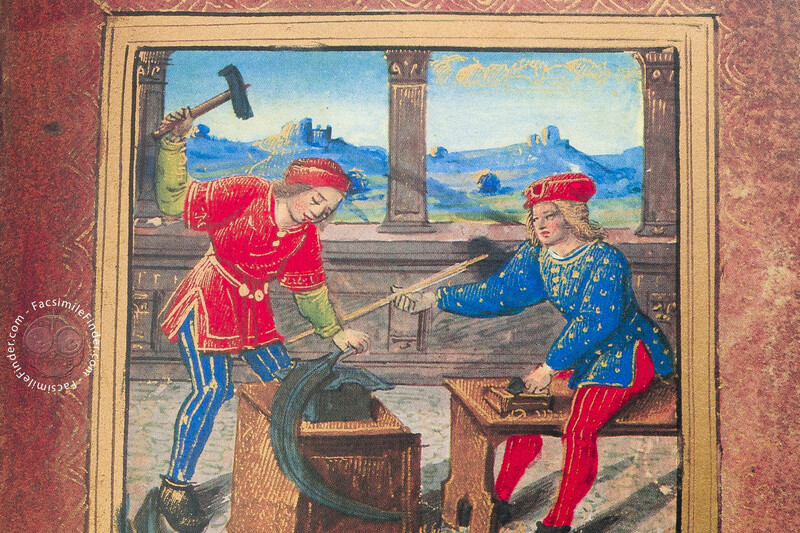 Around 1480 he started to work in the services of the French royal family and his first employer was Charles VII. Sala undertook a number of journeys that led him as far as the Ottoman Empire. Under Louis XII and Francis I he was first valet de chambre and later shield bearer. At the beginning of the 15th century he spent more and more time in his home town Lyon where he finally settled down in 1514. 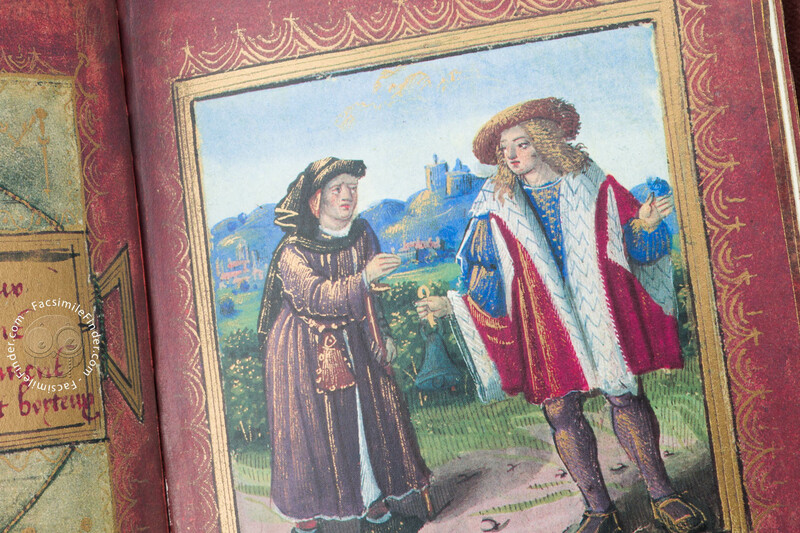 In 1522 king Francis I paid a personal visit to his manor, an honour of which Sala was particularly proud. He died in 1529. Sala presented the book to his Marguerite when they were still courting, i.e. before they got married. However, we are not able to date this event with accuracy. It must have been in the years between 1500 and 1519, presumably the latest possible date for their marriage. The work begins with a dedication describing the relationship between the author and the woman of his heart. 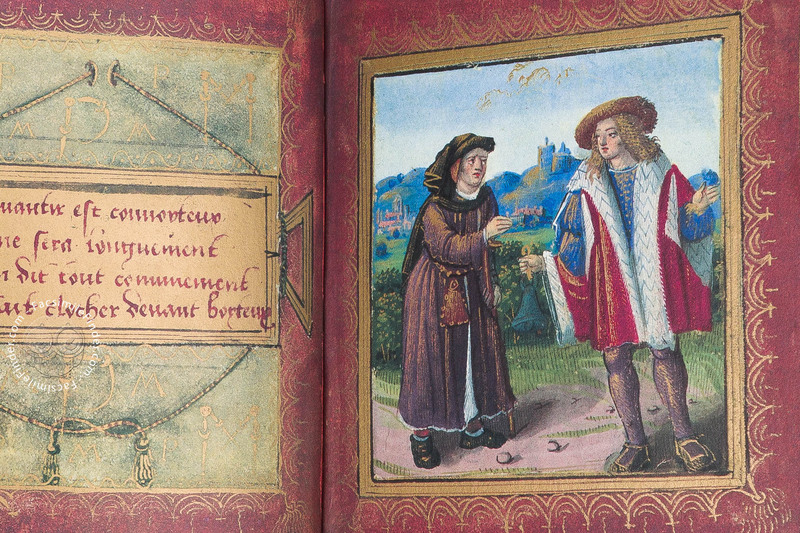 His chivalrous courting is expressed in a number of different formulations and culminates in the presenting of a little book in which picture and text are combined to convey the presence of the absent lover. By doing this, Sala successfully attracts the attention of his beloved and gains a place in her heart. The chivalrous rhetoric conveys personal aspects of an absolute and respectful love which even though not fulfilled, achieves happiness, while still hoping for a response. The core of the work is composed of twelve iconologues thus forming an entity of picture and text. While five of them relate to love, the others refer to moral topics, such as wisdom and insanity, lies, success and favour. With their slightly hinted irony and underlying resignation, some passages of the work betray a rather pessimistic view of the world and of society. There is no underlying thread which would link the diverse passages together or at least one iconologue to the other. And it is not clear where Sala could have had access to those works on which his little volume is based. Be that as it may, this work is original in many ways, especially in the manifold relations between picture and text, and thus goes beyond a mere illustration-oriented book or a commentary. 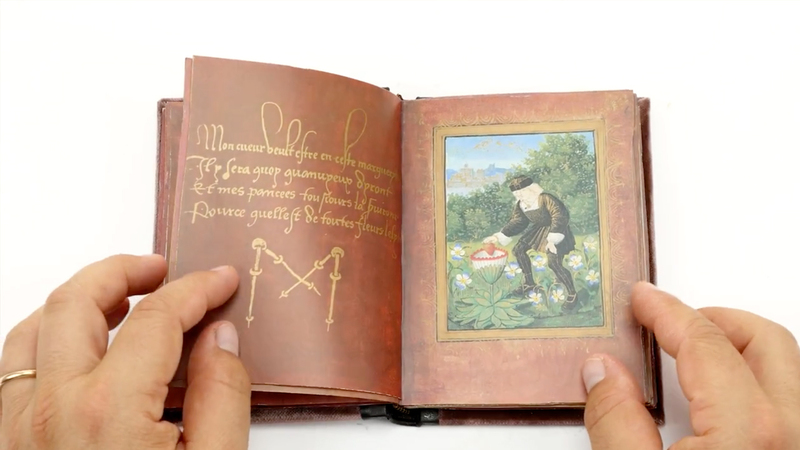 All miniature pages are laid out in a uniform rectangle frame. 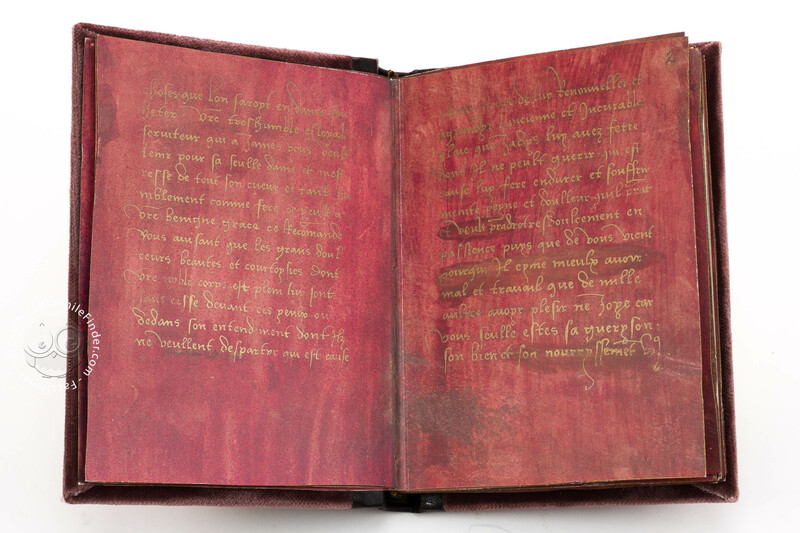 While the left page of the open book contains the text, the right shows a miniature. Each rectangle is lined with gold, a troddle at each angle, recalling the border of a cushion cover. 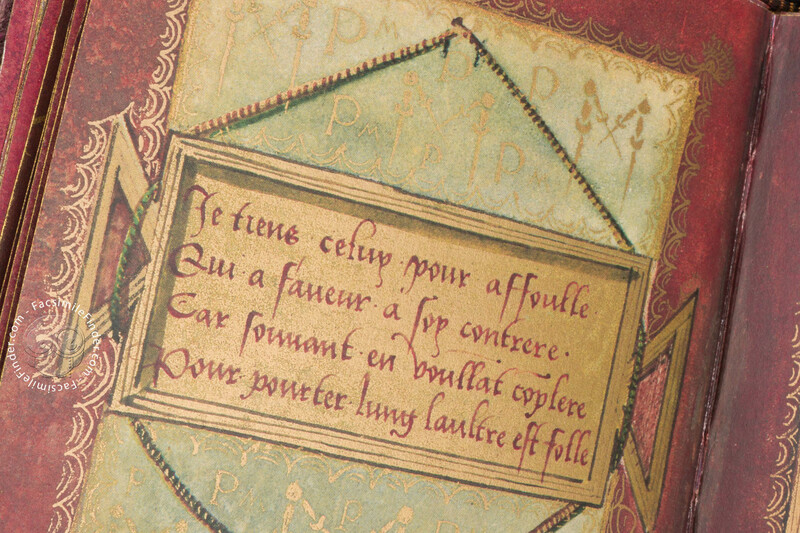 The text is set before a gild ground, reinforcing the impression of a sheet of paper. 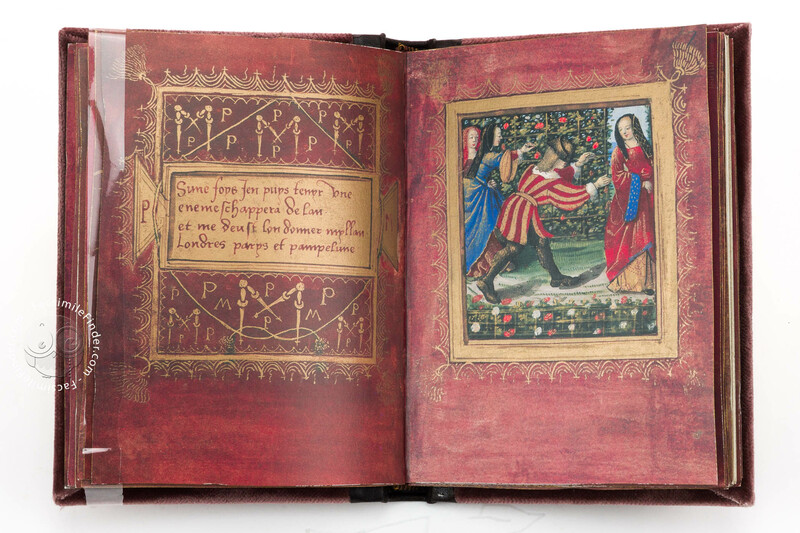 The pictures go back to the Master of the Chronique scandaleuse who worked in Paris from 1493 to 1510. 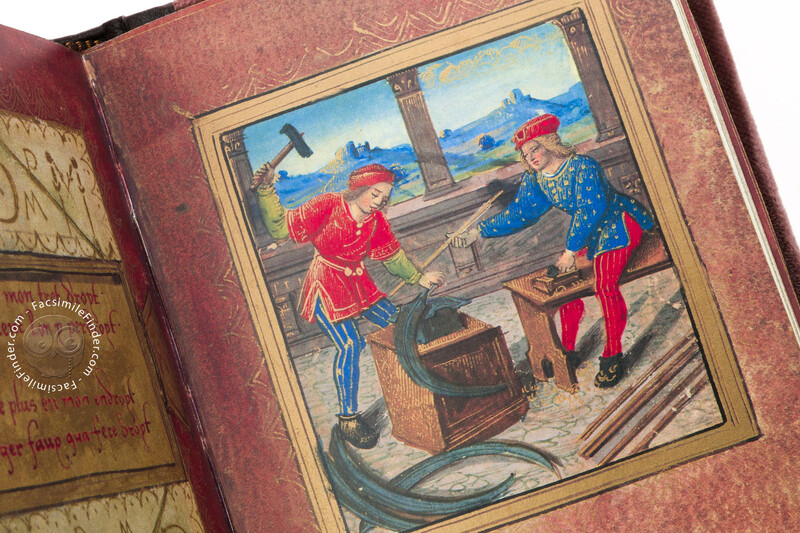 His artfully executed miniatures complete the work, thus making it an interesting and vivid testimony to late medieval culture. 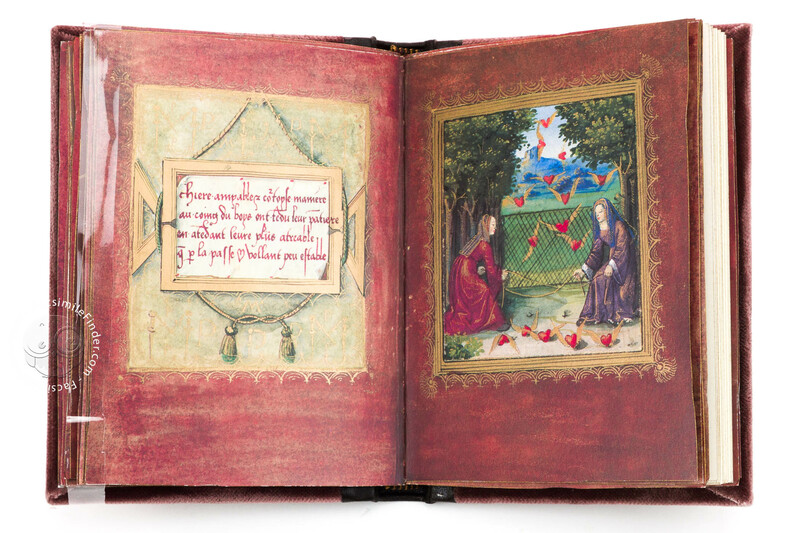 Pierre Salas "Le Petit Livre d'Amour"
Manuscript book on parchment − 13 × 10 cm − 40 pp. 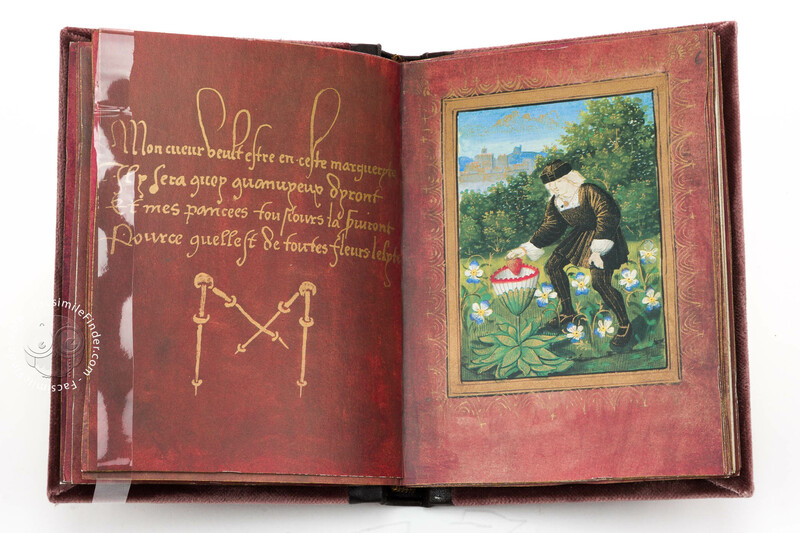 Master of the "Chronique Scandaleuse"
Pierre Salas "Le Petit Livre d'Amour" (Standard Edition) by Faksimile Verlag. 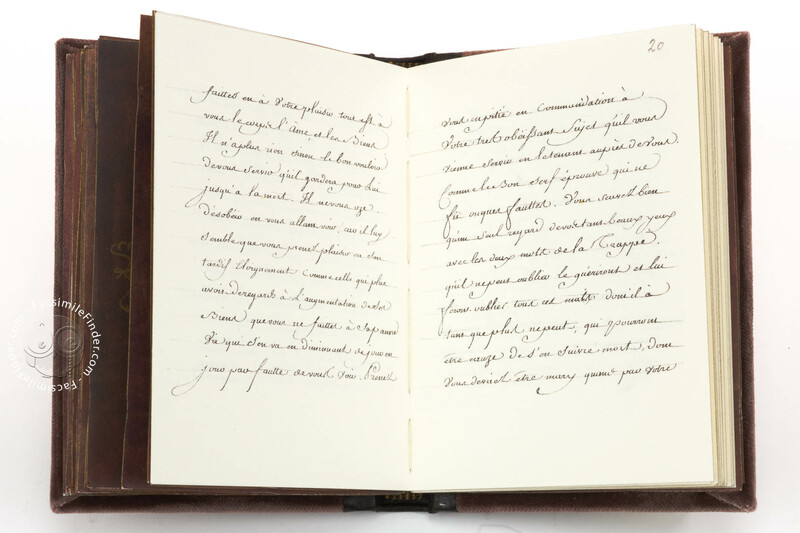 Full-size color reproduction of the entire original document, Pierre Sala’s Little Book of Love: the facsimile attempts to replicate the look-and-feel and physical features of the original document; pages are trimmed according to the original format; the binding might not be consistent with the current document binding. 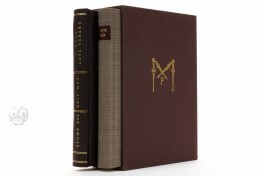 Standard edition available in a decorative book case. The trilingual commentary includes comprehensive contributions which examine the manuscript as well as its historic and art historic background. 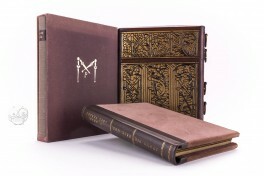 The volume is gilt-edged on three sides and bound in brown velvet. 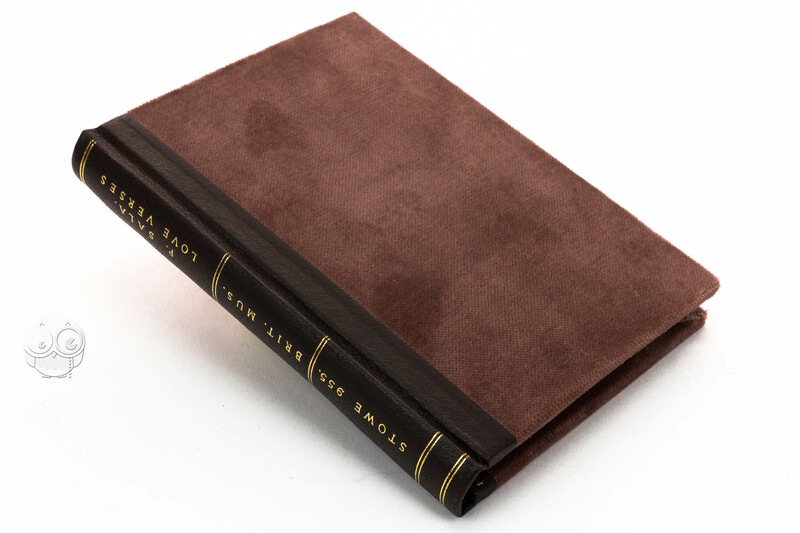 Pierre Salas "Le Petit Livre d'Amour" (Deluxe Edition) by Faksimile Verlag. 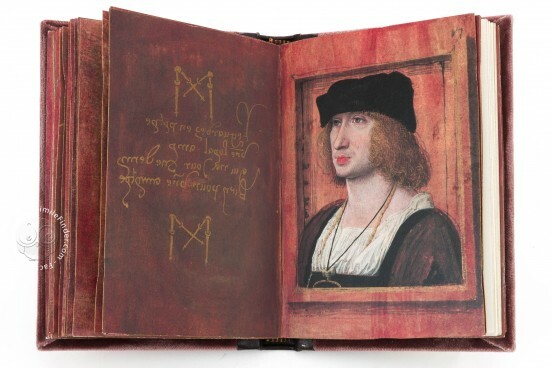 The trilingual commentary includes comprehensive contributions which examine the manuscript as well as its historic and art historic background. The deluxe edition of the facsimile comes with a gold-tooled leather slip case with patterns of flowers and the initials P and M formed out of crossed compasses or staves; on the edges of the case are rings, intended for a chain to suspend the volume from the girdle. 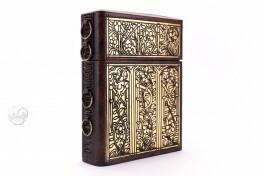 The volume is gilt-edged on three sides, and bound in brown velvet.